Our patrons often ask, “why don’t you do some Neil Simon”…Well, we will! And we have! As we get ready to put Rumors on stage on May 30th, take a look back at our first Neil Simon production, The Good Doctor, our last production prior to our move to the James Lee Community Center Theater ten years ago next month! Our longer term patrons will remember this well staged production, directed by Beth and David Whitehead. 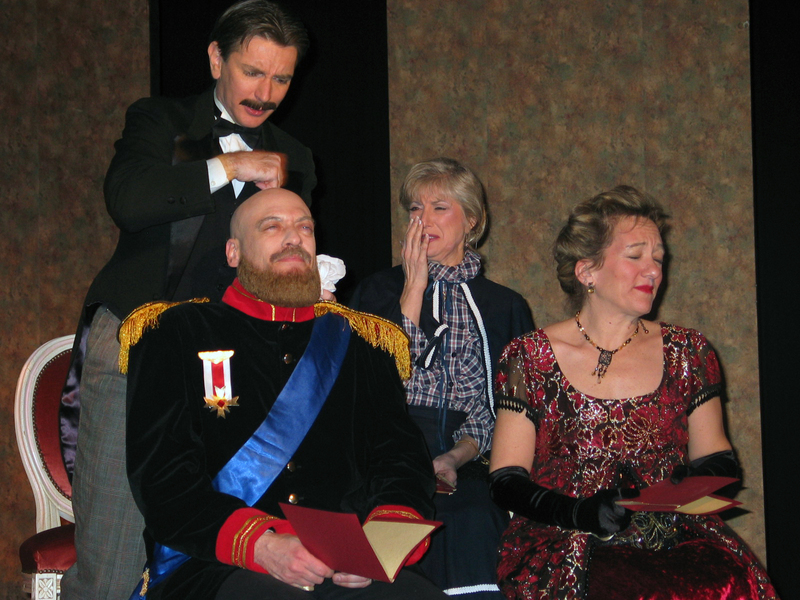 Tim Brown, Larry Mandel, Susan Kaplan and Barbara Gertzog in the 2004 PPF Production of “The Good Doctor’. PPF’s “other” Neil Simon Comedy. And while you are visiting us on the website: Take a look at some other recent, blasts from the past throw back goodies!